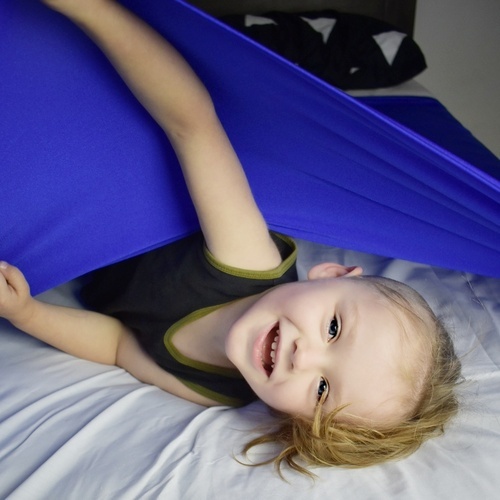 Lycra Tunnels are ideal for individuals who crave sensory input, particularly proprioceptive and vestibular input. 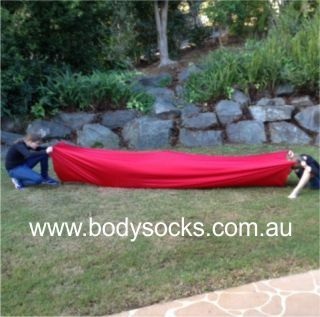 Body Socks Lycra Tunnels are very stretchy and provide resistance when you move in them. This provides deep pressure through the joints (proprioceptive input) and vestibular input (balance and movement in space) when moving through the tunnel. Resistance can be achieved by crawling through the tunnel or by pushing a 55cm exercise ball through the tunnel. 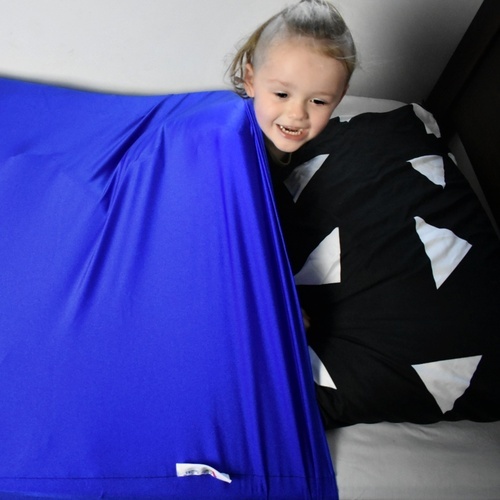 Add some pillows and cushions underneath and around the lycra tunnel to create extra fun.